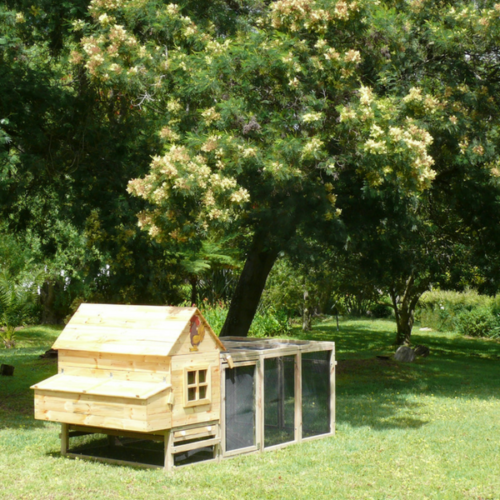 The ‘Nkandla XL’ has been designed to comfortably sleep up to five chickens. 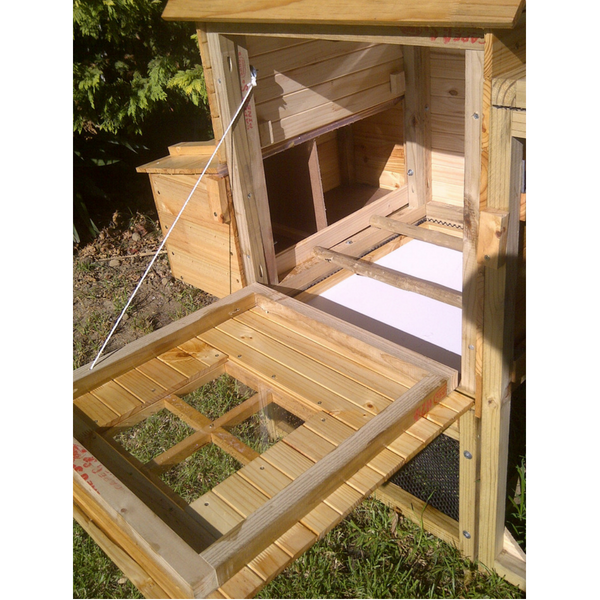 Our Chicken Coops are unique, durable and will add value to any home. 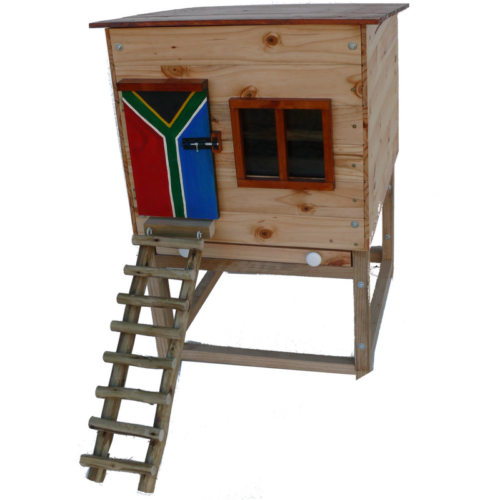 The hen-house is made out of top grade SA pinewood and treated against the elements. 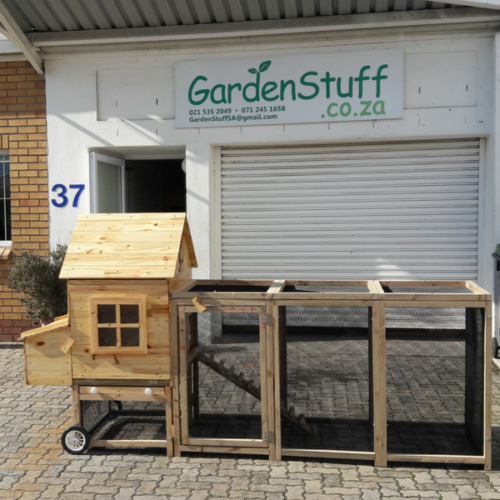 ● The structure can be moved around by two people, but we also offer this coop on wheels (Chicken Coop ‘Tractor’). 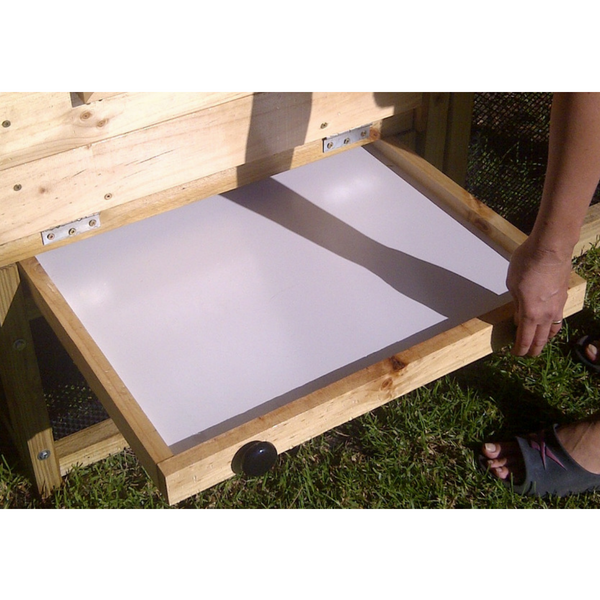 Please note that chicken coops are not hermetically sealed. 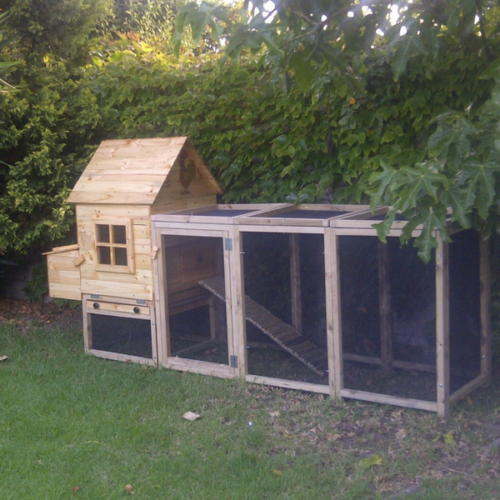 A proper hen-house needs openings for access, ventilation and maintenance. We have done our utmost to prevent rainwater from getting inside the coop. However, one can expect some reasonable water ingress, especially if the sliding door is left open during heavy rain. They are bolted on top of the existing roof. 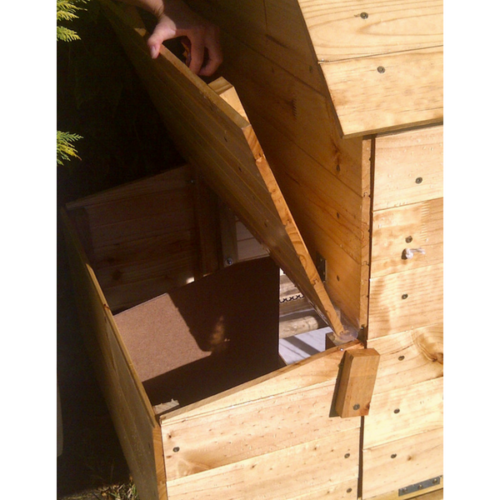 The panels are sealed to withstand the elements. 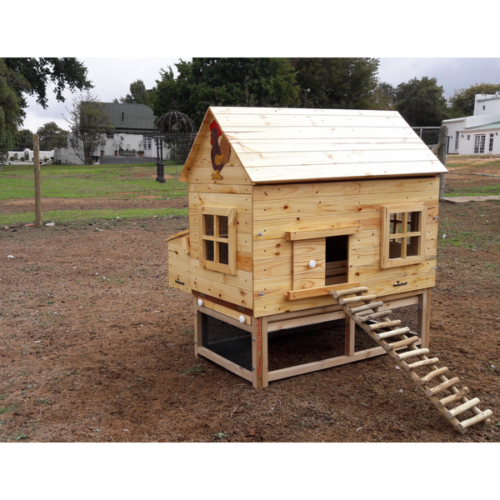 coop’s chicken run. 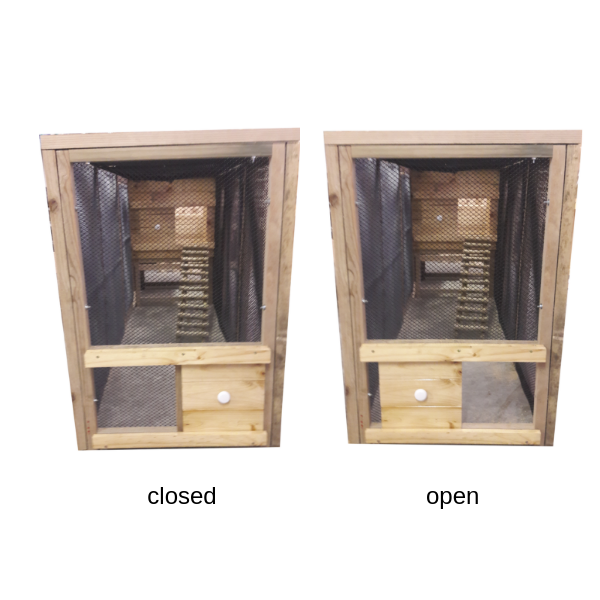 An added benefit of the tunnel is the protection it offers against birds of prey. easily and quickly arranged to form a layout of the keeper’s choice. 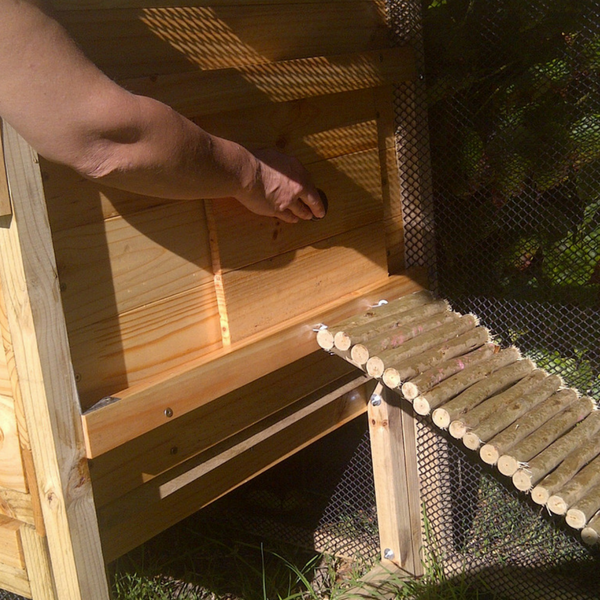 The segments are made using durable plastic mesh and long-lasting, CCA treated pine batons. If not in use, the flexible tunnel segments can be stacked away without taking up much space. 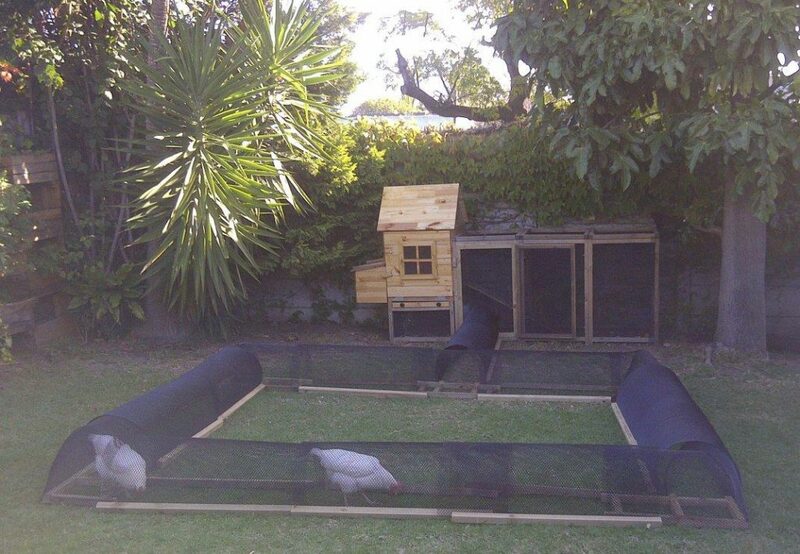 chickens to enter and exit the tunnel system. The panel clips into the door frame. 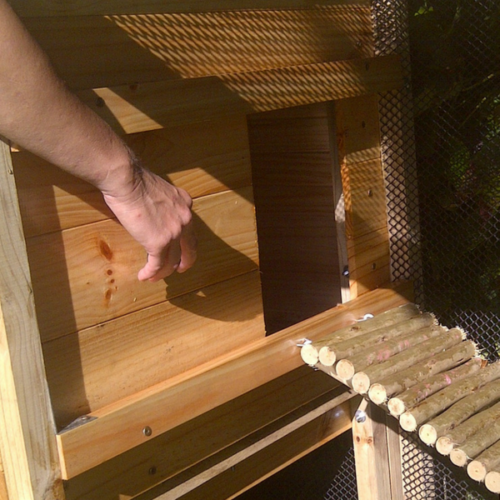 The Tunnel Segment is 100 cm long and offers enough space for two chickens to pass each other. together. It is just like a T-Junction on our streets. 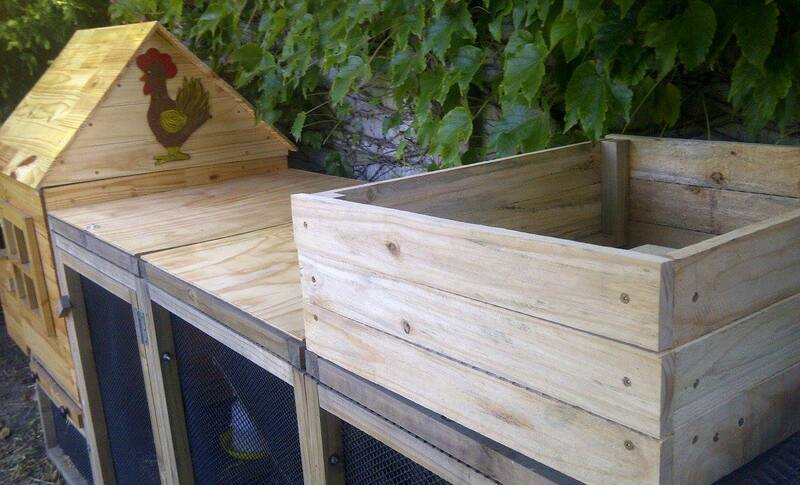 This planter has been designed to fit perfectly on top of the chicken-run roof structure. or yourself. 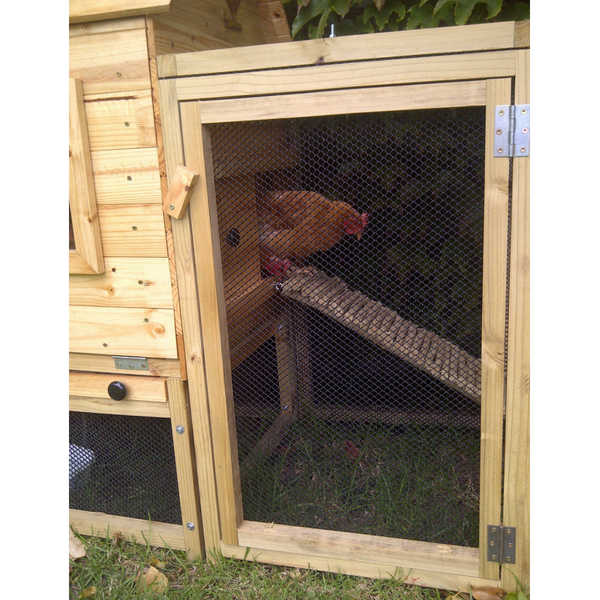 A bonus is that it protects the chicken below from sun and rain. 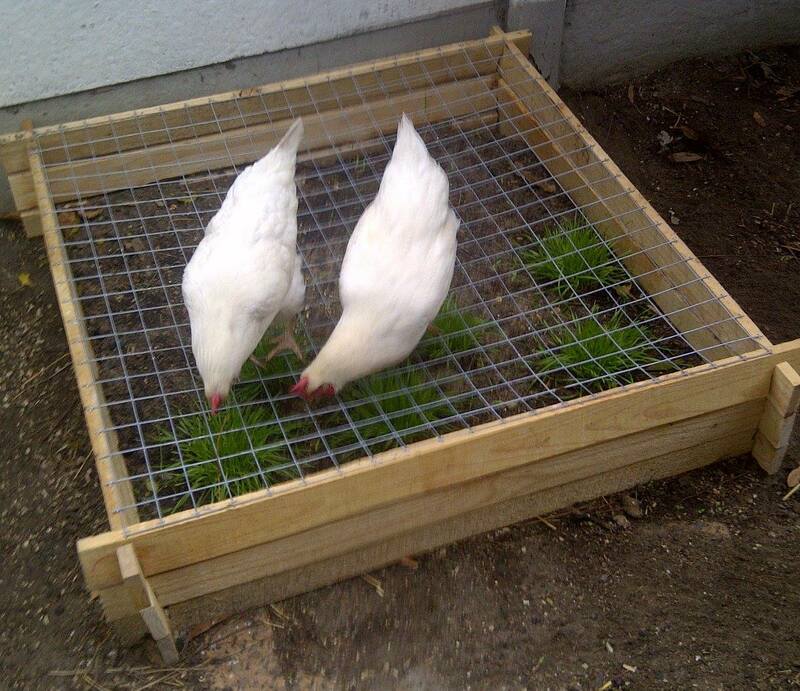 Chickens need to have some greens in addition to their pellets. 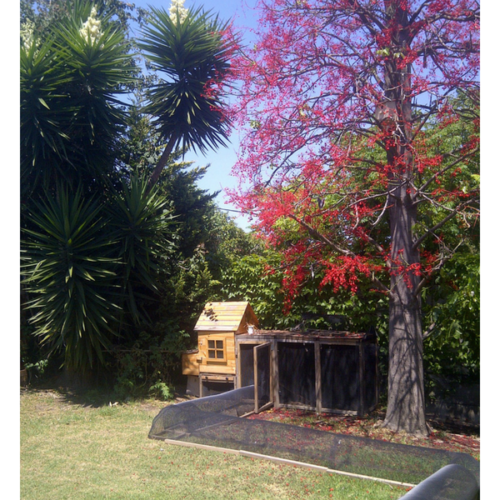 Those can be grown in this raised bed. 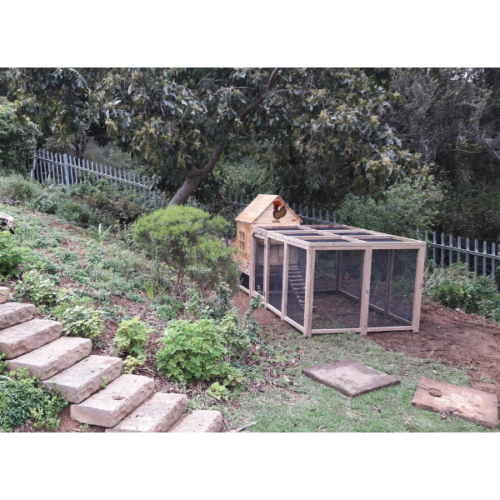 The planter is covered with galvanised welded mesh to prevent the chicken from scratching out and destroying the plants. They can pick off whatever they can reach. 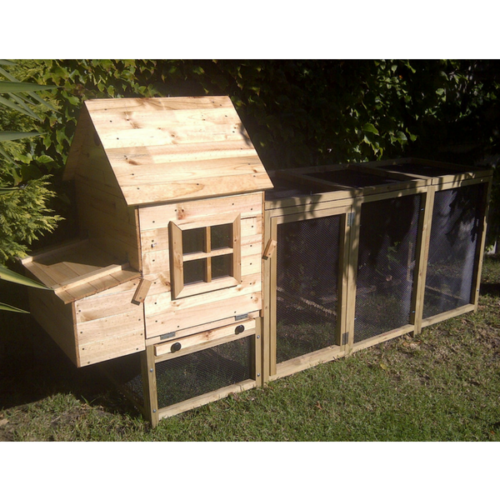 Awesome coop, still need chickens though! Good service and help from Uli. Thank you. 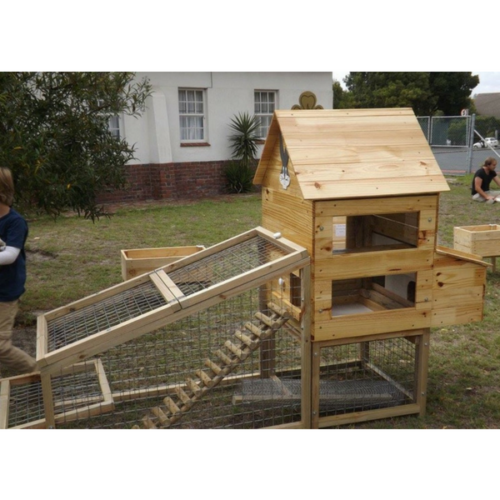 Amazing coop and fantastic service!